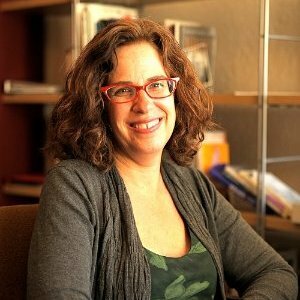 Psychotherapy – Abigail Levinson Marks, Ph.D. 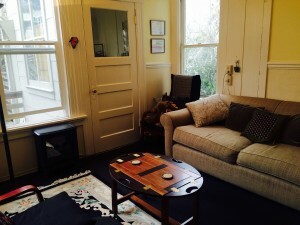 I offer individual and couples therapy, as well as consultation for families. Sometimes an event can bring about a crisis –-a loss, a difficult break-up, or even a moment that exposes something in yourself, a part of you that you deeply want to change. Sometimes it is just the realization that things in your life cannot go on in the way they have been, and a longing to live your life in a new way. We often feel that we should be able to pull ourselves out of this kind of crisis, but the reality is that for significant change, we often need help. Talking with a therapist who is truly listening may allow you to hear your own story afresh. Whether you’re describing something that happened the day before or years ago, telling someone who is an attentive (and active) witness can help bring clarity and deeper understanding to how you experience the world and your relationships in it. And it can potentially help you choose to move forward in a different way. I welcome questions about my practice, and am happy to set up an initial consultation to see if the way that I work is a good fit for you and what you’re looking for. I help couples who want to improve communication, work through differences, and come to a deeper understanding both of your strengths, and patterns in your relationship that you would like to change. I strive to be fair, non-judgemental, warm, incisive, and active. Sometimes it takes a while to find just the right therapist match for you. I’ve worked for many years in the Bay Area, have an extensive network of colleagues, and have trained a large number of upcoming therapists. I’m happy to spend some time with you thinking about who might be just the right fit for what you seek help with and who has the style that will fit best with how you want to work.